When Apple's design chief, Jony Ive, was asked in 2018 who he thinks will make a "measurable impact on our future," he didn't point to a Nobel laureate, inspirational speaker or even fellow Englishman and celebrated vacuum designer James Dyson. If it seems unusual that Ive, who obsesses over the curves of a screen and extruded aluminum cases, even cares about a social network, let alone the guy who helps design one, that's because it is unusual. Which is why it's notable. Evan Sharp, head of product at Pinterest, gets credit for the site's clean and pleasing design. Pinterest has been around for nine years, having launched right around the same time as the first iPad, and back when Facebook was pulling in merely half a billion monthly users (it tops 2.3 billion today). But the social network that Sharp co-founded with CEO Ben Silbermann and Paul Sciarra, now a venture capitalist, is different from peers like Facebook, Instagram and Twitter. It's not known as a place to get the news. It doesn't have a robust way to message your friends. And it's not trying to dream up whiz-bang new services and tech like livestreaming or virtual reality. Instead, Pinterest is a place where you "pin" stuff you find around the internet — like recipes, nifty ways to organize at home, wedding reception ideas and toddler Halloween costumes. The items show up as pictures on a series of "boards" you create and share with friends. That's been enough to convince 250 million people around the world to check in with the site every month. Eight out of 10 mothers in the US visit Pinterest at least once a month, the San Francisco company said, as well as more than half of all millennials. "It's not a social media network the same way others are," said Wedbush Securities analyst Ygal Arounian. In some ways that means you're not sharing news, or accidentally spreading conspiracy theories the same way some people do on Facebook, Twitter and YouTube. Instead, because Pinterest is primarily about collecting images of stuff you find interesting and want, Arounian said, it could be a next step in how we use the internet to buy stuff too. "A couple years ago, the technology wasn't advanced enough," he said. Now the Pinterest way of doing things is becoming a norm. People have saved billions of "pins" on the digital scrapbooking site. My wife, then fiancee, was using it to pull together ideas for our wedding. My first assignment was to help decide on a cake design. She'd pinned a few cakes, and I commented on what I liked or didn't like about them. I also offered a few pins of my own (must have chocolate). Sure enough, we landed on a design rather quickly without ever walking into a cake shop. It was no wonder to me, then, that within a few years Pinterest would become synonymous with weddings. By 2012, The Washington Post's style section was fielding questions about whether Pinterest might someday replace wedding planners. It turned out Pinterest just made the job easier for planners by letting them collect images that give a sense of style a couple might want to emulate. "It's a superefficient way to get ideas across," said Fabienne Laveau, owner of Wedding Muse in the Washington DC area. Though she primarily relies on her intuition when planning, Laveau said Pinterest can make it easy to identify what people like and don't like rather quickly. "Just like anything else, the internet has made everything exponential and quick." Instagram, which launched the same year as Pinterest, became the new hotness, particularly after its 2012 acquisition by Facebook for $1 billion. Today, Instagram counts more than a billion people using its service each month. That's more than four times the size of Pinterest's user base. Search the archives of The New York Times, The Wall Street Journal or CNET and you won't find many think pieces discussing Pinterest's impact on our lives or a dissection of its latest strategy. There aren't liveblogs from flashy press events either. And you've already forgotten the name of its CEO. The company doesn't draw much attention to itself, despite some people's weirder pins, like taxidermy'd mice riding in toy cars, vintage cigarette advertisements or food "disguised" as other food (like a cake that looks like a pizza). Still, Pinterest has largely avoided the scrutiny other social media companies now face. It hasn't been caught giving user data to unscrupulous app developers, like Facebook did. Hackers don't use it as a place to brag about their latest attacks, like they do on Twitter. And it's not a place where conspiracy theories like the Earth being flat run rampant, as they have on YouTube. Pinterest CEO and co-founder Ben Silbermann isn't a typical flashy Silicon Valley leader. If we were to attempt a chart of new features, it'd include stuff like how in 2014, the company added easier ways to search for stuff by category (like "cakes" and then "wedding cakes"). The next year, Pinterest added a way to buy things you find while looking through other people's pins. In 2017, the company announced Pinterest Lens, which pulls up pins similar to anything you take a photo of. Point your phone at a green chair, and it'll suddenly show you a bunch more. "Sometimes you spot something out in the world that looks interesting, but when you try to search for it online later, words fail you," the company said at the time. "Now there's a way to discover ideas... just pull out your phone." The company's executives don't openly react to the news of the day on the company's blog or on Twitter (its CEO's tweets are set to private). Pinterest hasn't waded much into controversy, either, aside from banning antivaccination information from its service earlier this year. And the company declined to comment for this story, too. Which is why, as Wall Street gives a nod to the company's IPO, it might seem a little confusing to hear that Pinterest is being valued at nearly $13 billion. That isn't far from Lyft's current $17 billion or Snap's $15 billion, and you likely hear about them all the time. People like Sonja Likness, who started using Pinterest shortly after its launch. At the time, she was a budding blogger who'd tried all the latest sites like MySpace, Twitter and Facebook. "I've always been a social media dork," she said. Originally, she started using Pinterest to collect and organize simple half-hour recipes. Sometimes, the food would turn out to be a disaster. "I could cry about it or laugh about it," Likness said. 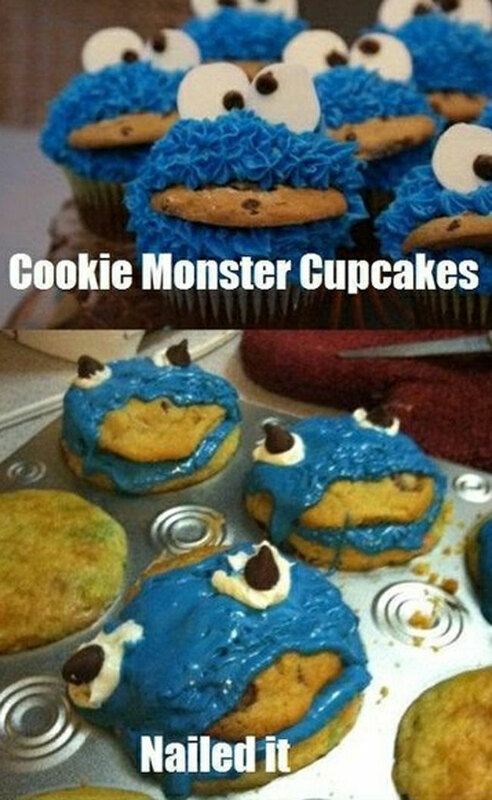 So, she started a blog about her Pinterest-driven food exploits, joining a budding trend called "Pinterest fails" (or, sarcastically, "Nailed it") where people document their unsuccessful attempts to re-create the picture-perfect projects they found on the service. Likness' blog, Pintester, quickly made enough money to become her full-time job for a year and a half. One of her most famous fails was a Strawberry and Cream Mug Cake, in April, 2012. "The concept is really cool. You make this cake that's just one individual serving," she said. "It speaks to all these things we want: We want to eat cake but we don't want to get fat, and we want it to be fast and delicious." The result was "inedible," she wrote at the time. "Run. Run far away." We want to eat cake, but we don't want to get fat, and we want it to be fast and delicious. Likness, now Duke University's director of social media and content strategy, still uses Pinterest. Most recently, she's been pinning decor ideas for her new home. "Part of what makes Pinterest and the users of Pinterest so unique," she said, "is that there is such a sense of a community feeling around it." Pinterest's offices in San Francisco have an artsy, DIY vibe, similar to the aesthetics of its site. Pinterest's user growth has been unchanged year over year, but the company's advertising business hasn't. In 2018, Pinterest tallied almost $756 million in sales, up nearly 60% from the year before. Pinterest has also pared down its losses to $62.5 million, less than half of what they were in 2017. Pinterest has also helped businesses like Joy Cho's "Oh Joy!" lifestyle and design brand stand out. "Because our business does so many things, from products to content, Pinterest has helped a lot," she said. It doesn't hurt that she's amassed almost 13 million followers on Pinterest, making her one of the most popular "pinners" on the site. She and three others on her team are pinning up to 50 items a day, 75% of which are other people's stuff she's found on the internet. "People are following 'Oh Joy!' to see a curated look at things," she said. That ease with which you can pull together ideas is likely what attracted Ive, Apple's design guru, and why he uttered the name of that other guy at Pinterest who's not the CEO but who you also forgot. (It's Evan Sharp, the head of product). Sharp, Ive said, "understands that complex problems can be simplified and often resolved visually." Translation: The site is easy to use and nice to look at, and that's helped it become a place you can mold to be a digital whiteboard filled with all sorts of ideas. In the tech world, that's praise worth pinning. Originally published April 17, 5 a.m. PT. Updates, 1:10 p.m.: Adds that Pinterest's IPO is now expected Thursday; April 18: Includes Pinterest IPO response.